Schools in counties across Ireland are set to remain closed on Monday as Hurricane Ophelia prepares to make landfall. 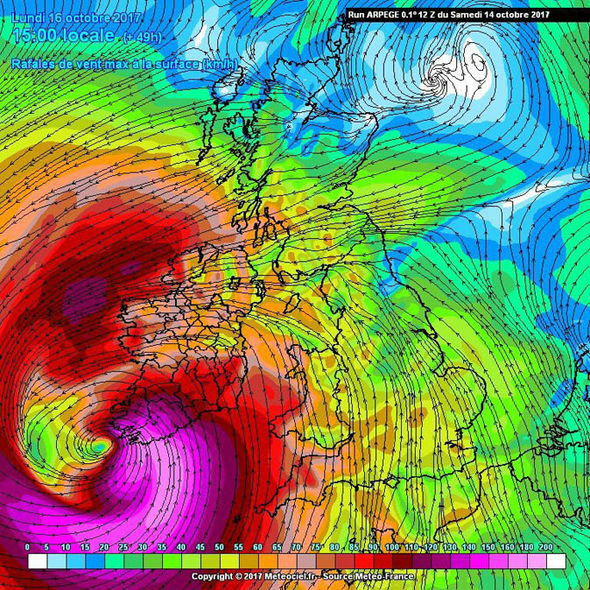 Met Éireann has issued a “red alert status” for Wexford, Galway, Mayo, Clare, Cork, Kerry, Limerick and Waterford. The Department of Education has, following a meeting with the Government Task Force on Emergency Planning, informed all schools in the red alert areas to close on Monday. UCC, CIT and College of Commerce in Cork will all be closed on Monday. Members of the public are being advised not to make unnecessary journeys and to keep a close eye on alerts from Met Éireann and local outlets. The latest model map of Hurricane Ophelia. Passengers due to travel to and from Ireland on Monday will also have their plans affected, with Airports in Dublin, Cork and Shannon advising passengers that cancellations are highly likely, while Irish Ferries has cancelled most of its routes for the day. Have your school or travel plans been affected by Ophelia?